Just because a famous face tries it out, doesn't mean you should. If you're guilty of copying celebrity trends, you're certainly not the only one. All we've got to see is a bag on the arm of our favorite star, or some boots on their feet, and the items will sell out. But while that's all well and good when it comes to fashion and beauty items, it might not be quite such a good idea to dive head first into some of the health fads our favourite celebrities try out. Research commissioned by Chronomics recently revealed that one in 10 people recalled having experiencing adverse effects after following celebrity fitness regimes. In order to help you separate the wheat from the chaff, we asked Max Bridger, personal trainer and co-founder of LDNM, to talk us through the diets favoured by well-known stars that he would personally advise avoiding. "If you think back to the days of those primary school PE classes, you'll be sure to remember the reference of the five core food groups," says Max, pointing out that carbohydrates feature heavily as one of these food groups. 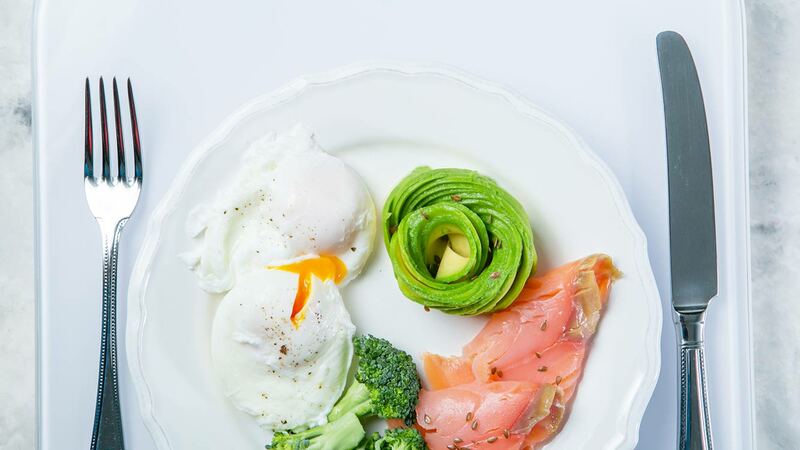 The Ketogenic diet advises a low consumption of carbs, which reduces the body's intake energy, causing it to use existing fat as its primary energy source instead. This, Max suggests, could be "a worrying catalyst for the development of unhealthy associations with the food group (a form of disordered eating known as orthorexia)." While Max acknowledges that you can achieve a calorie deficit with a low-carb diet, he suggests it's also possible to do "without unfairly demonising carbohydrates and sugar." In fact, the LDNM founder believes you're more likely to trigger desires to binge-eat by withholding an entire food group, thanks to the cravings it'll induce. "Add to that the fact that the diet is a very restrictive and unenjoyable way to eat, and it will only set you up for failure. Cutting out food groups just isn’t the way to get cut!" Max adds. "Based on the concept of intermittent fasting, the 5-2 diet is up there as one of the least sustainable of all in terms of fat loss," says Max. It relies on eating "normally" for five days of the week, and then adopting a calorie intake of under 600 calories for the remaining two days. Although this might work wonders for those looking for that "quick fix," Max is insistent it will very rarely suit a person's lifestyle long-term, even though it's flexible when it comes to which days your fast. "Not only will you put the weight back on once you return to your normal diet, but your metabolism will most likely slow after being forced into starvation mode," explains the health and fitness expert. "The only benefit this diet could have is in identifying those hunger triggers. Address these once you return to a ‘normal’ diet and you could gain at least some benefit," Max advises. "Meal replacement shakes usually mean trading in one or two of your already much indulged meals a day," explains Max. "Supposedly these are swapped for a tasty shake made up of a proven 'thermogenic (fat loss) blend,' but the reality is evidently clear to me on every occasion. What you actually tend to get is a protein-based substance that tastes not too dissimilar to thickened water, totalling up barely a few hundred calories." As Max points out, a dramatic dip in calories is of course going to cause weight loss, "but it’s neither going to be fun or sustainable," he says. Plus, he adds, "by limiting your calorie intake, you become more susceptible to weight gain when you return to a normal diet as a result of a slowed metabolism." "Juicing is another fad favourite that has been pushed by many of our favourite celebs as a way to drop weight fast, but personally I wouldn't recommend it," fitness expert Max says. Based on the concept of drinking all—or the majority of your food—in the form of juiced fruit (and blended leafy vegetable) smoothies, TOWIE’s Gemma Collins raved about how it helped her lose a lot of weight with limited exercise. But Max says it spells "a red flag" to him. "That's the equivalent of an average British woman losing nearly a third of her body weight in a month. Although juicing can be a good way to get important nutrients into your system easily, it’s just not sustainable, nor is it a smart method to lose weight and keep it off," he says. Max points out a juice cleanse could actually have the effect of "unbalancing your diet, so it has extremely minimal fats and minimal protein—that's not to mention a lack of fibre from the fruit lost in the juicing process." This, plus all the calories you'd be slashing daily, Max advises will decrease your feeling of fullness and may even slow your metabolic rate in the long-term. Most detox teas claim to work alongside exercise and healthy eating to help promote weight loss and get rid of nasty toxins in the body. "The explanation for these claims range from increased metabolism, energy levels and appetite suppression as some of the core ways in which they work their 'magic,'" but Max has his doubts. "Yes, they may increase lipolysis (the conversion of body fat to free fatty acids) due to their caffeine content, but this will mean nothing unless you’re creating a calorie deficit to reap the rewards," he notes. "Couple that with the fact that they usually have no more caffeine than your regular cup of tea or coffee, and they will have virtually no effect on your body composition, whilst seeing you out of pocket. These teas often also have laxative properties, which can cause irregular bowel movements that can be dangerous." "When it boils down to it, all of these 'diets' simply don’t have what it takes to sustain, and I would highly discourage them to anyone striving to achieve long-term results. Instead, I would encourage a balanced diet that is formulated of something along the lines of 80 percent healthy choices and 20 percent of simply what you like. "To promote weight loss, the secret lies in the secret equation of calories in vs calories out—burn more (through exercise and daily activity) than you consume (through food and drink) consistently, and you will lose weight as you're in a calorie deficit. From an exercise standpoint, training three to five times a week with a combination of weights, resistance, cardio or sport should partner up well with that calorie controlled, but sustainability friendly diet to see you fighting fit into the future."